You will be entered into the age group that reflects your age at the end of the current calendar year. Athena (women 165 lb and above) & Clydesdale (men 200lb and above) – weigh in at check in. Two person teams are acceptable – one person completes 2 legs of the event. 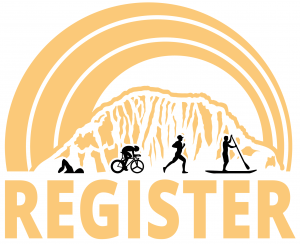 *T-Shirts are given to all registrants, and Finisher Medals are given to all triathlon finishers!